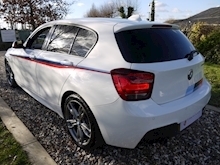 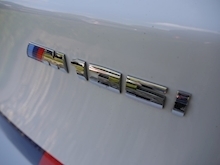 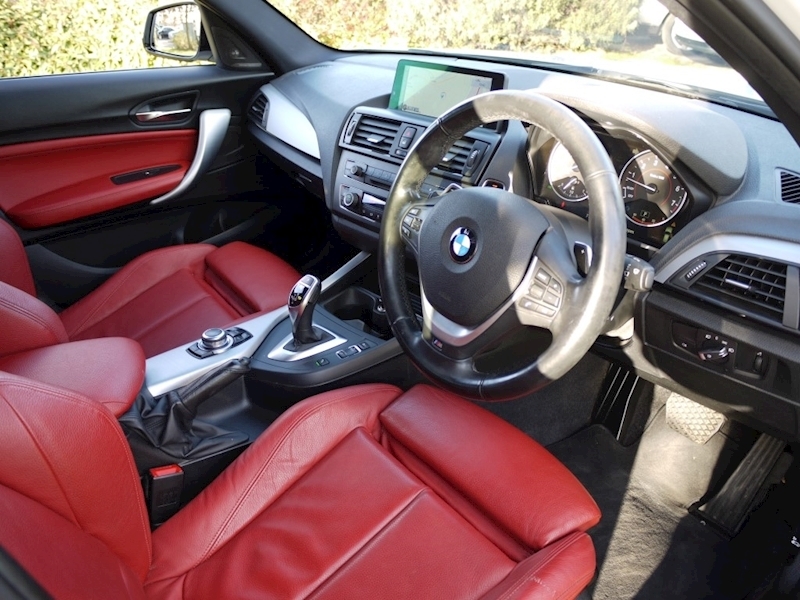 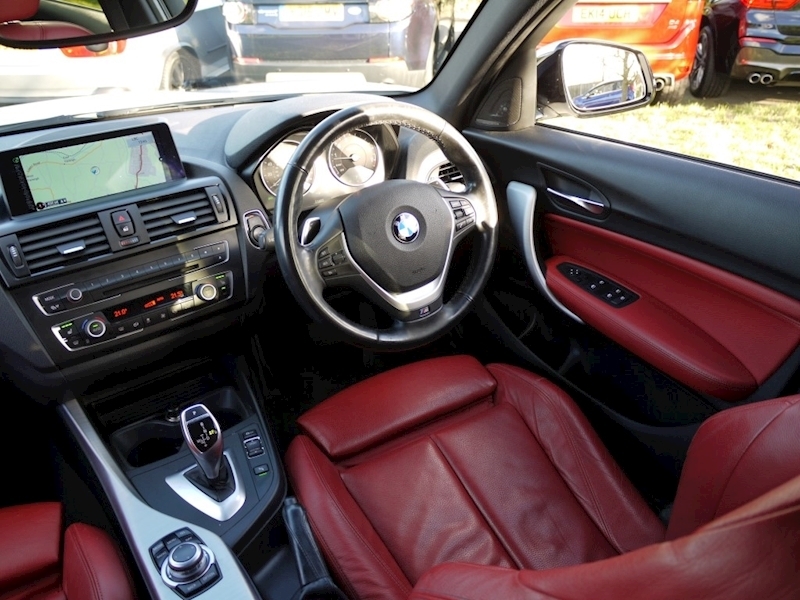 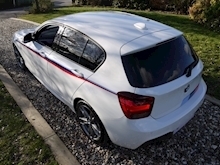 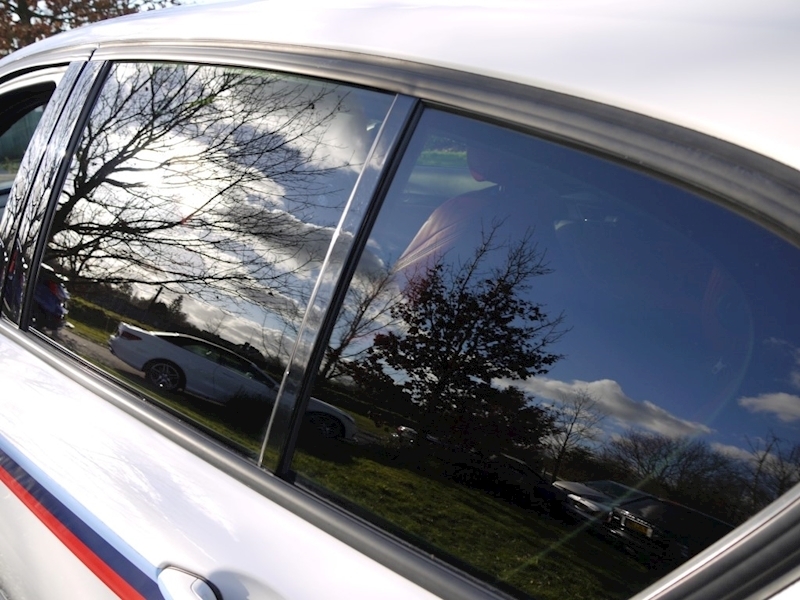 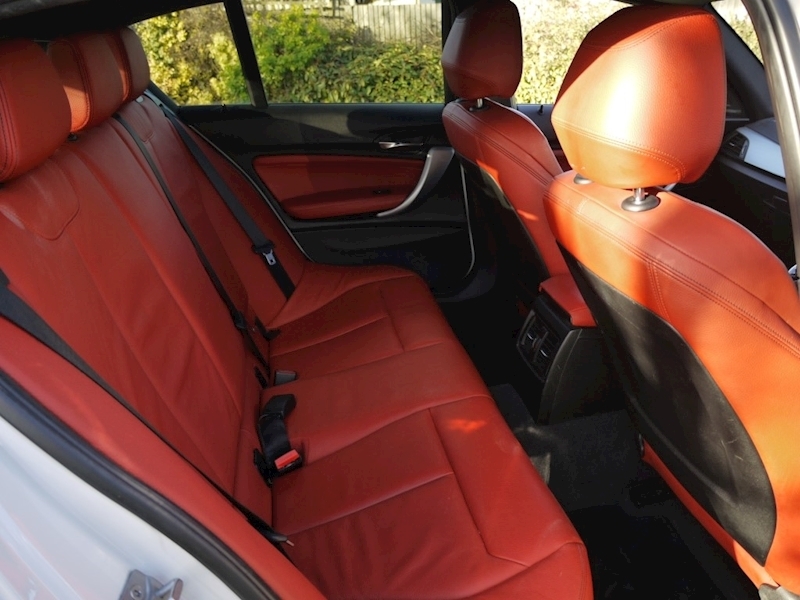 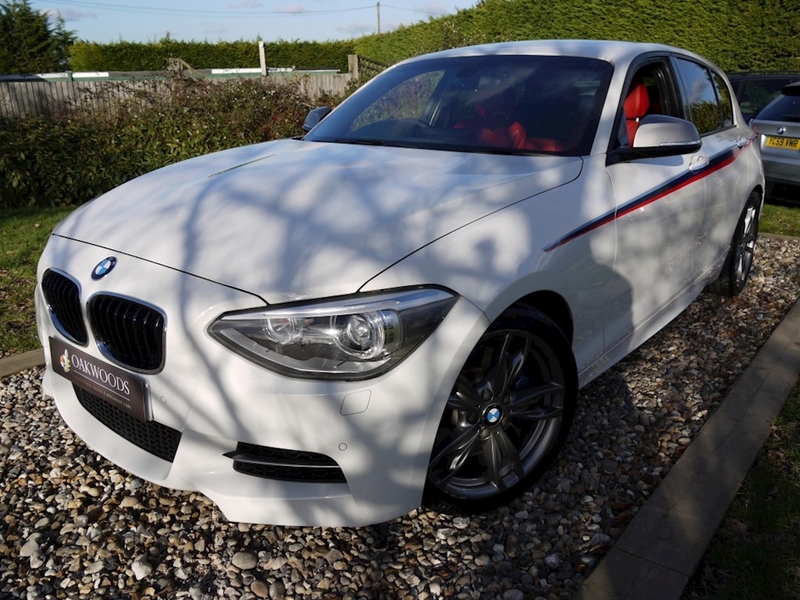 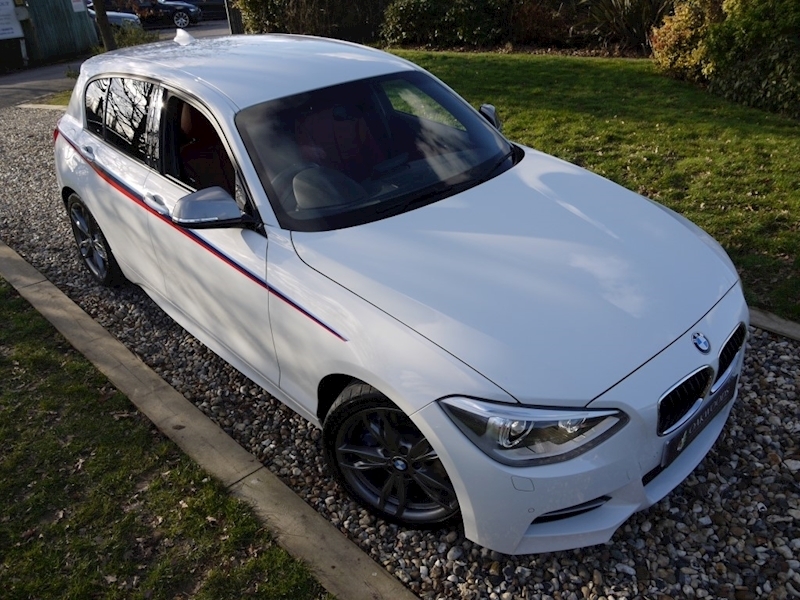 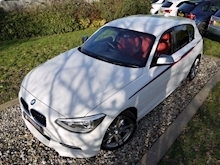 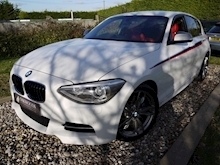 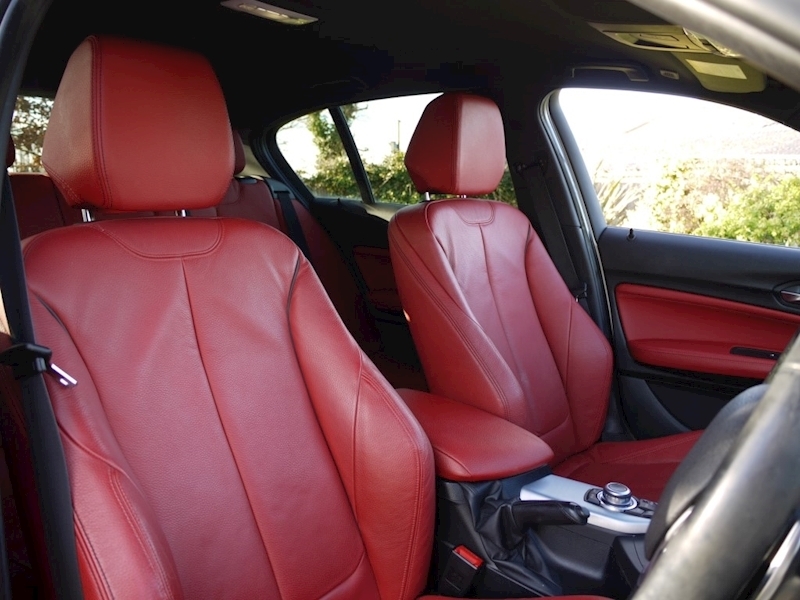 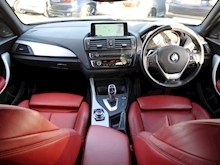 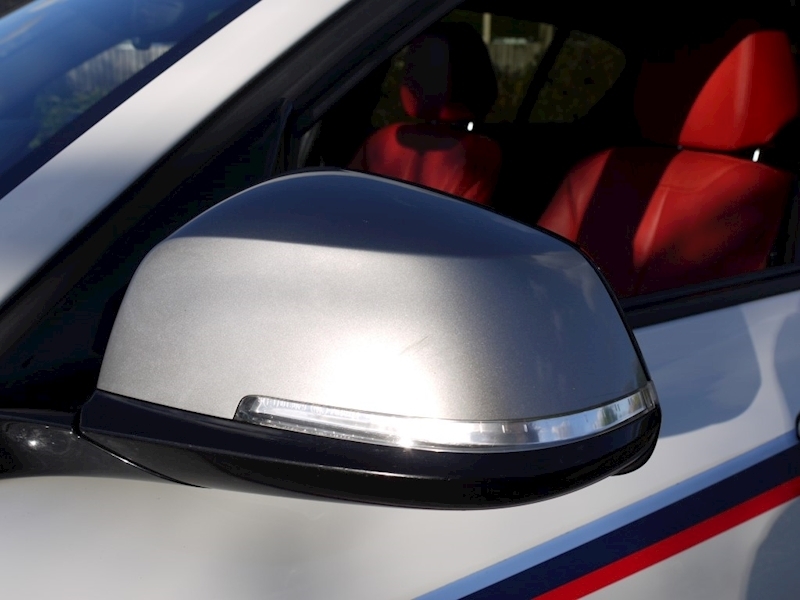 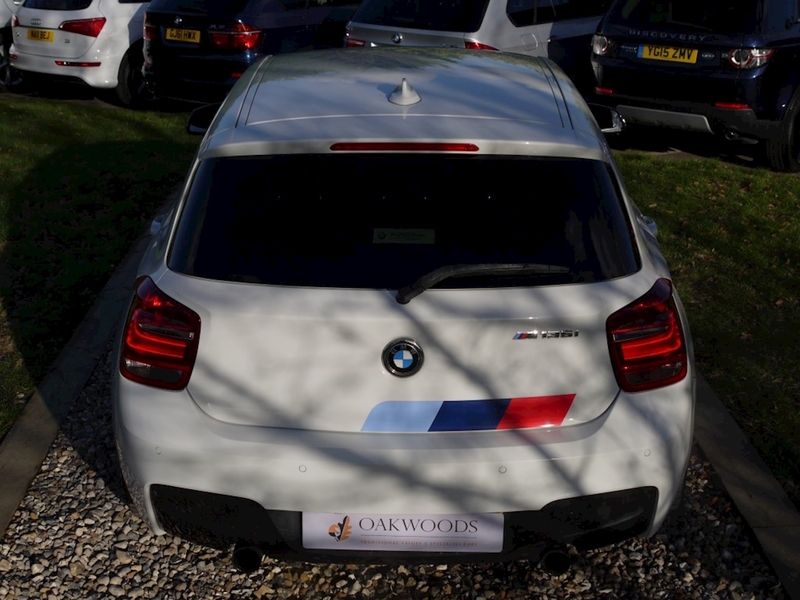 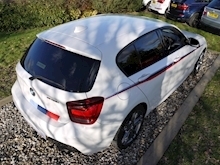 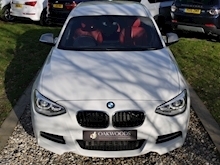 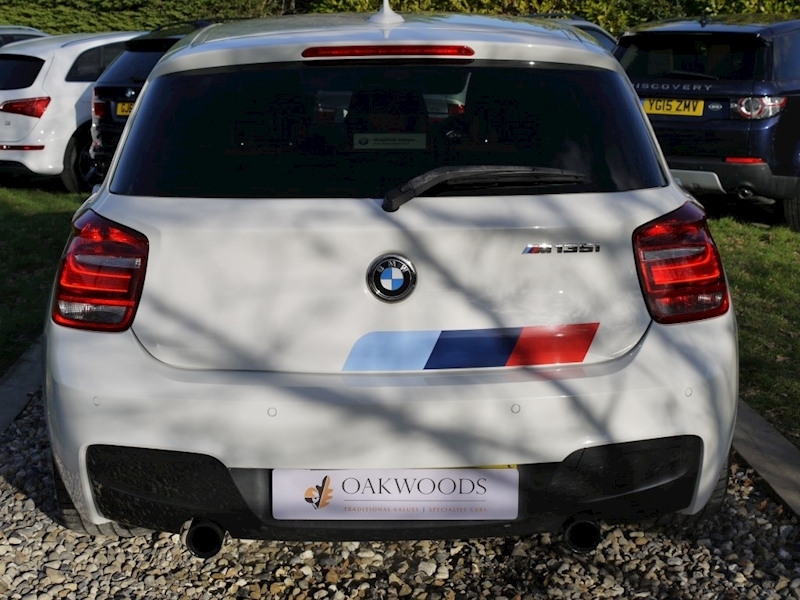 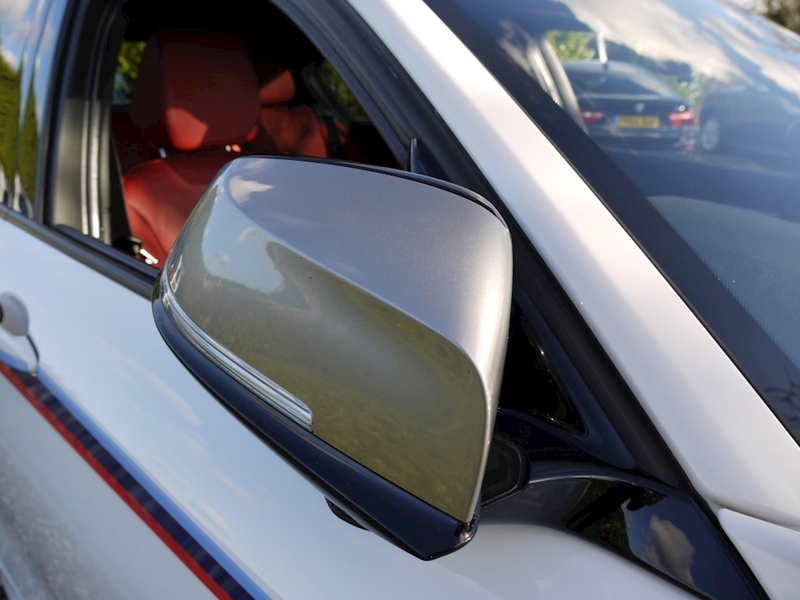 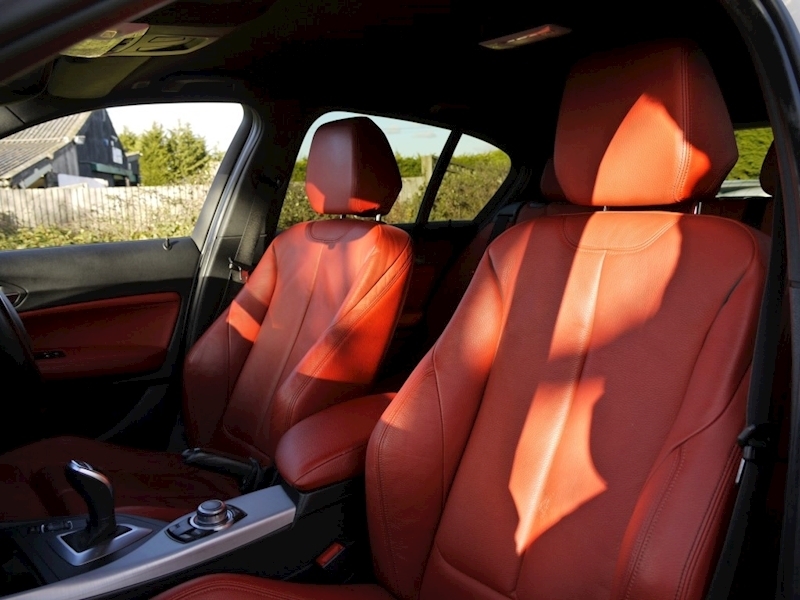 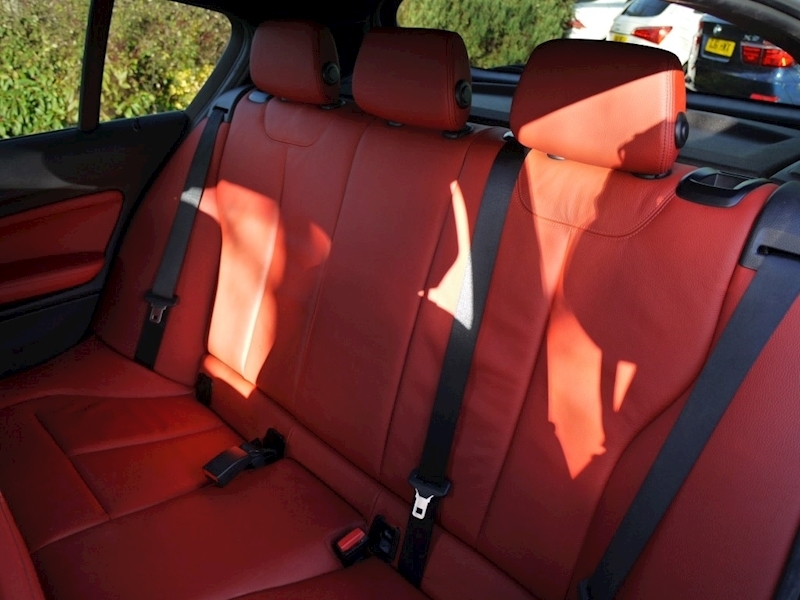 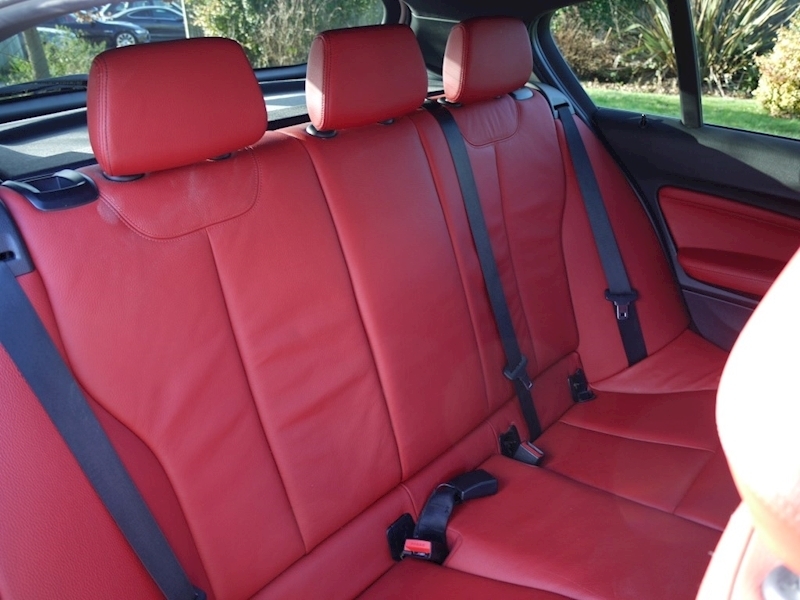 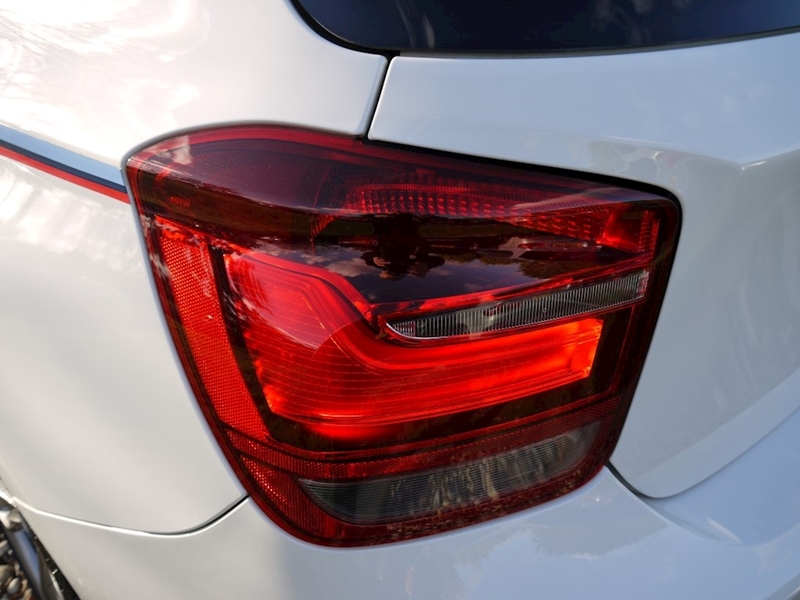 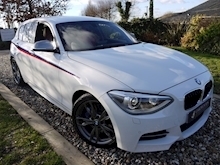 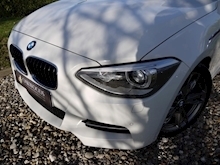 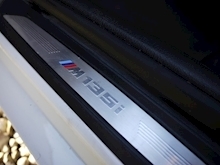 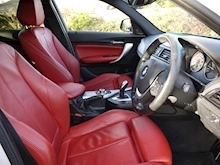 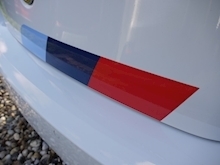 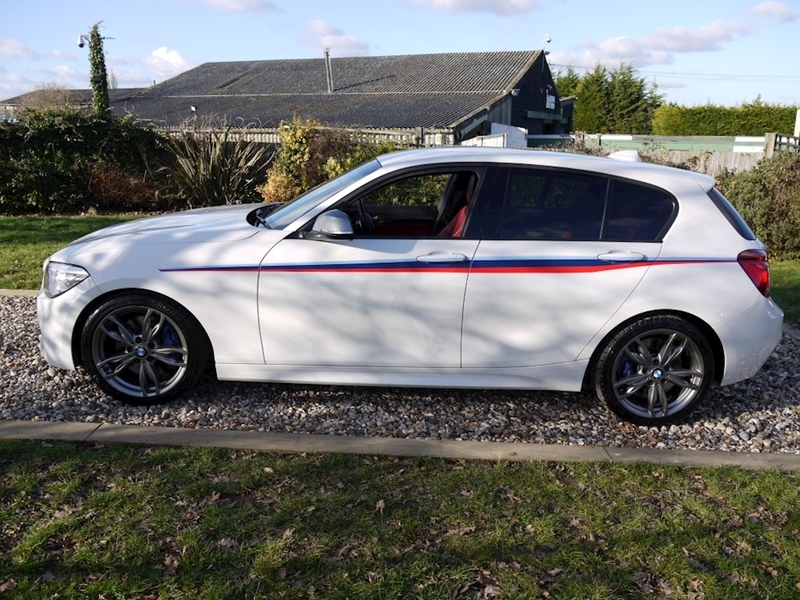 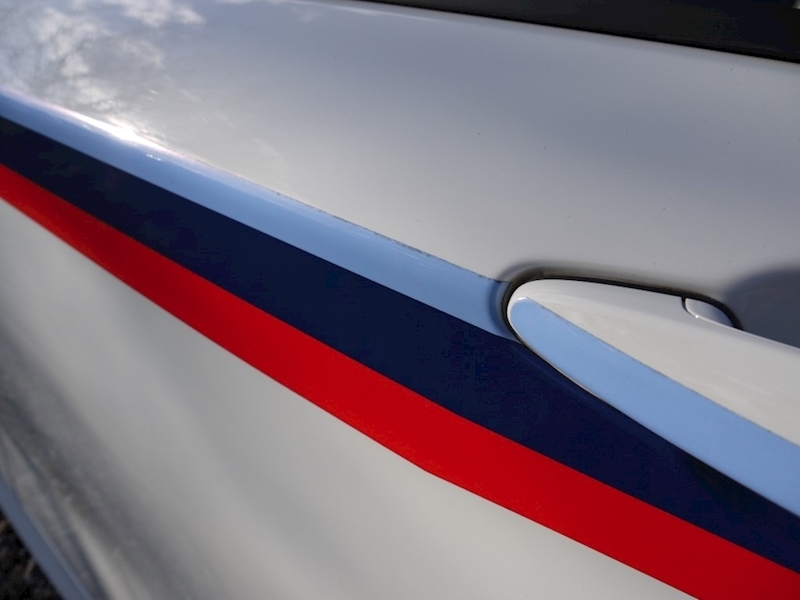 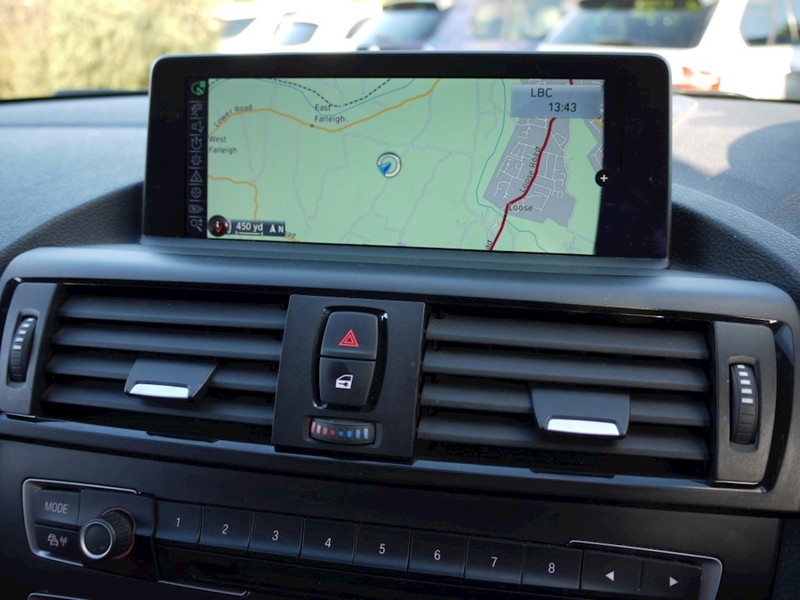 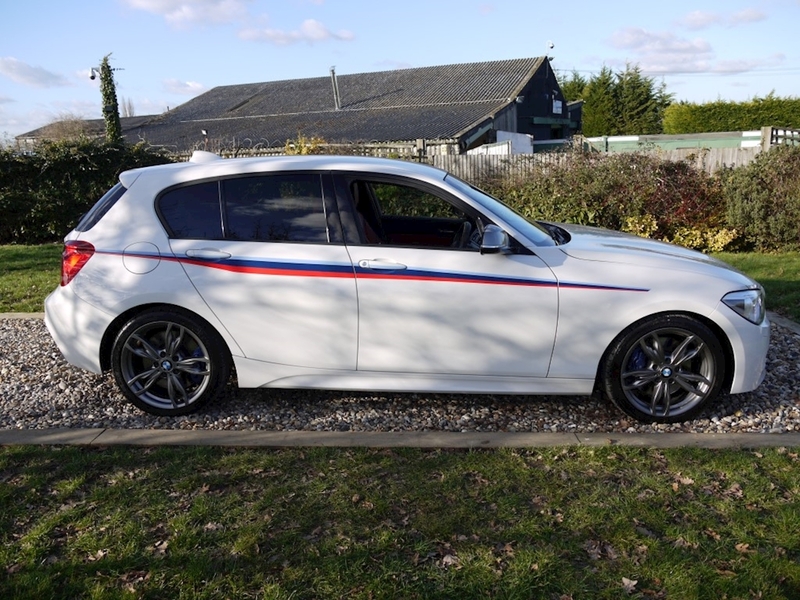 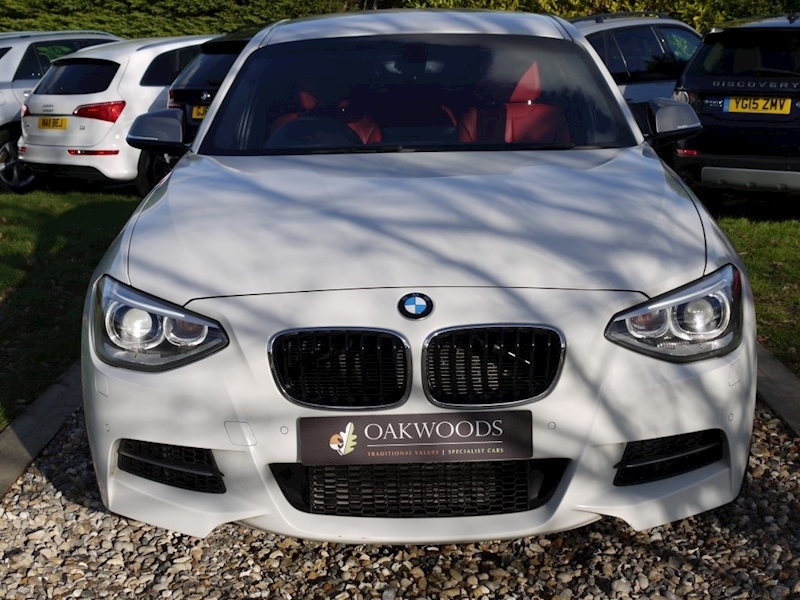 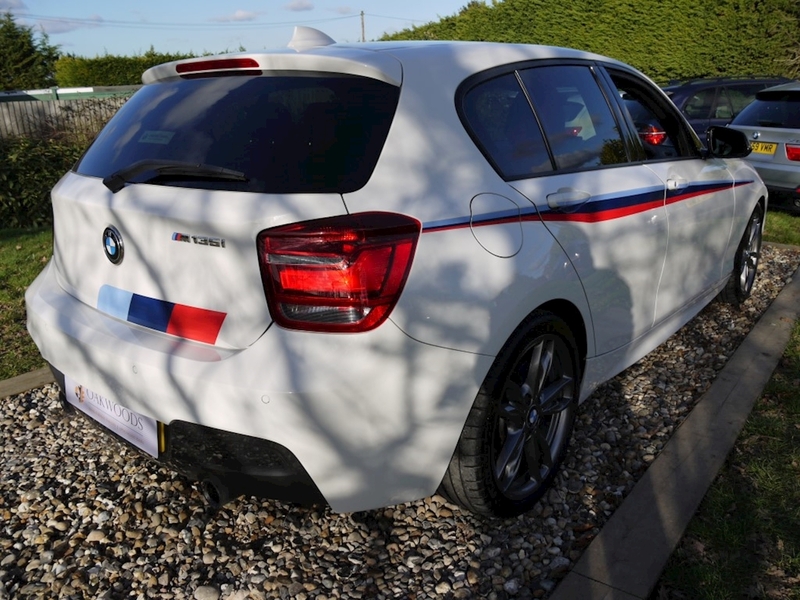 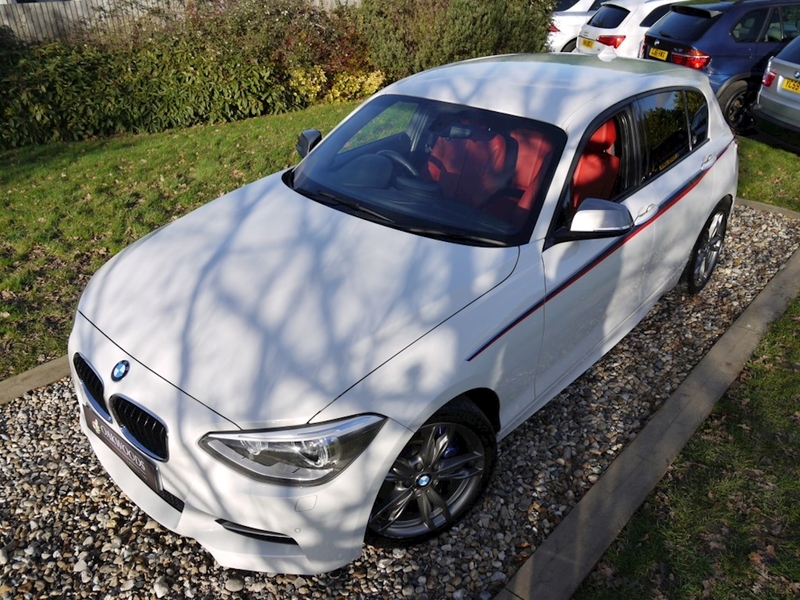 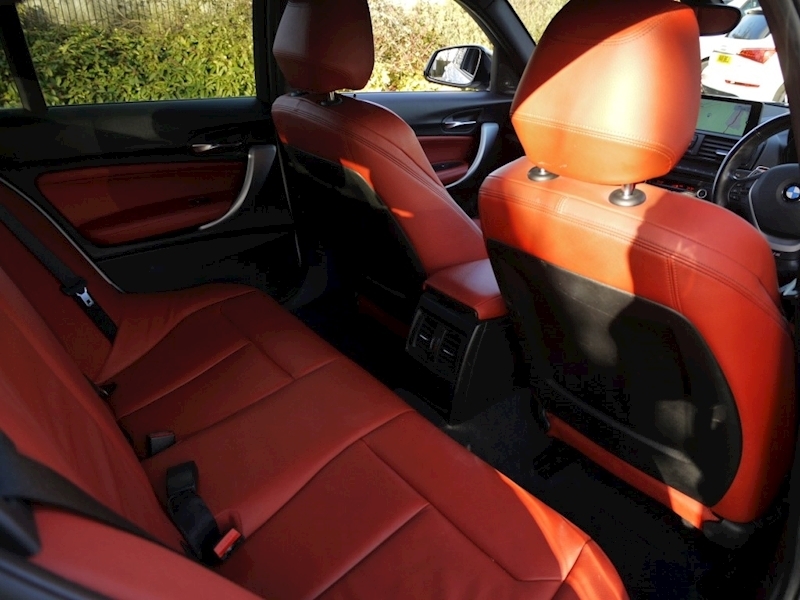 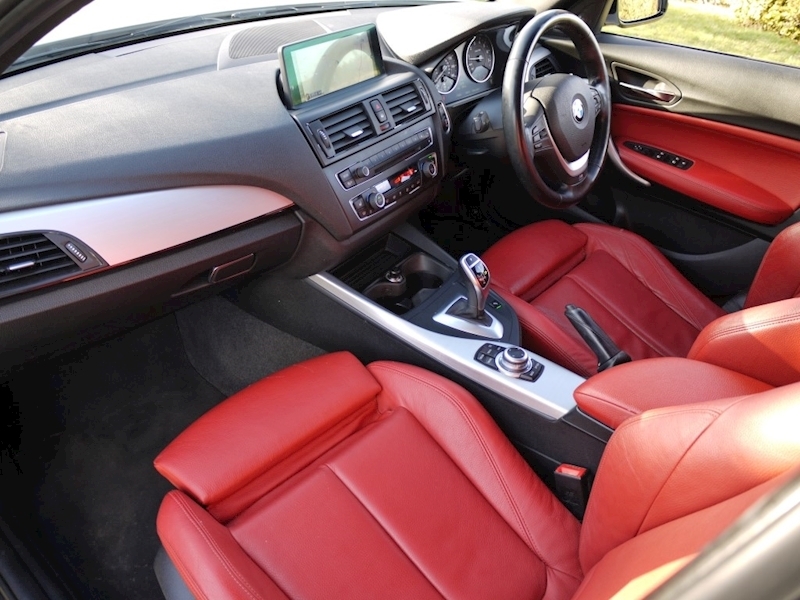 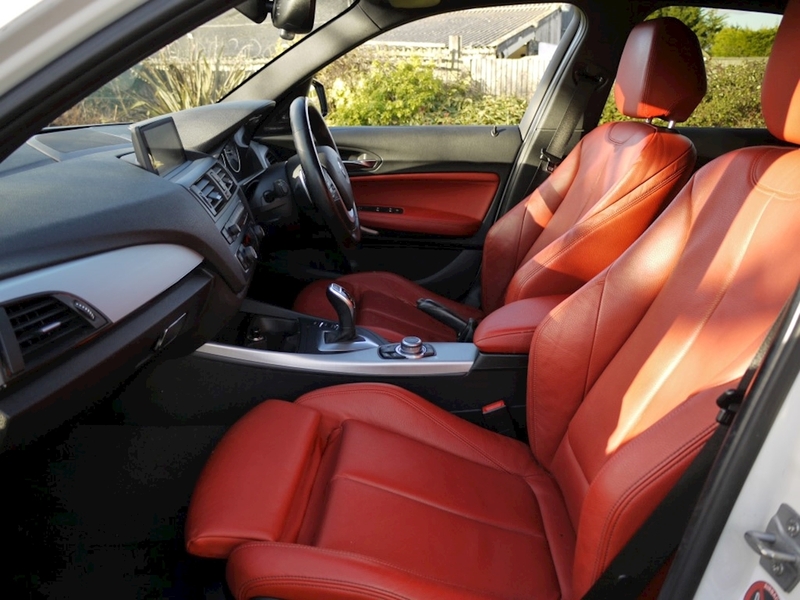 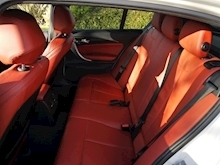 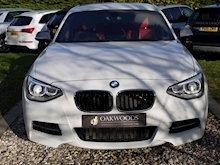 Stunning BIG Specification BMW M135i Auto finished in timeless Alpine White with Coral Red Dakota Leather with BMW Sport Strip Package (Can be removed!!) Recently taken in Part Exchange against a Range Rover this M135i is a real credit to its local married owner...Great Specification with Harmon Karden, PRIVACY Glass, LED Lights with XENON Headlights, BMW Professional SAT NAV, BLUETOOTH, USB, Headlight Wash, Front and Rear PDC, HEATED Sport Seats, DAB Audio Pack, Power Fold Mirrors, Cruise Control and Full Black Panel. 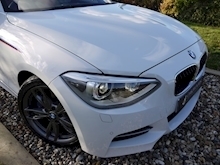 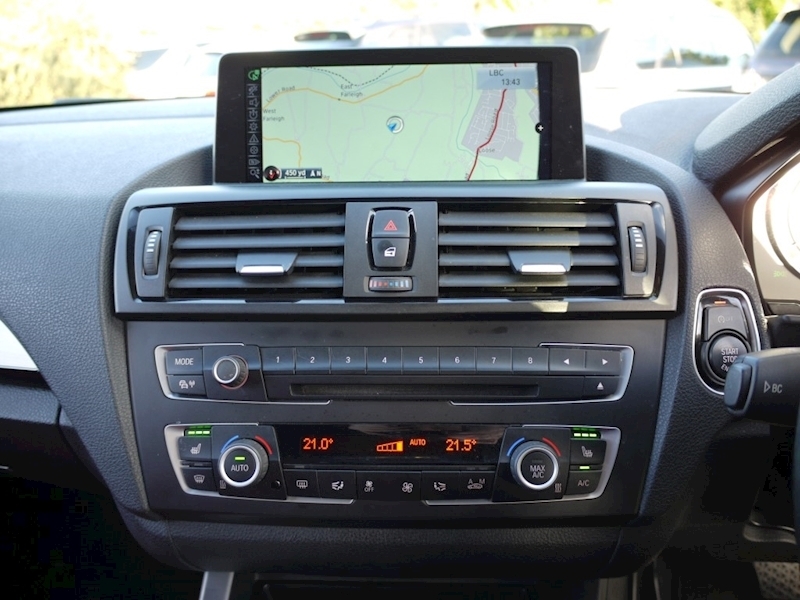 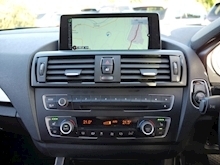 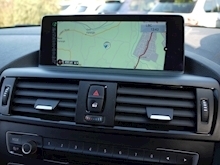 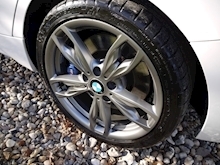 Supplied by Stephen James BMW in July 2016 to our local client. 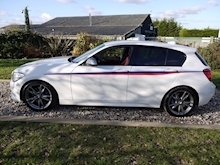 All handbooks present and importantly 2 working keys and a recent set of Michelin Pilot Sport tyres allround (6-7MM)....been looking for a nice one??? 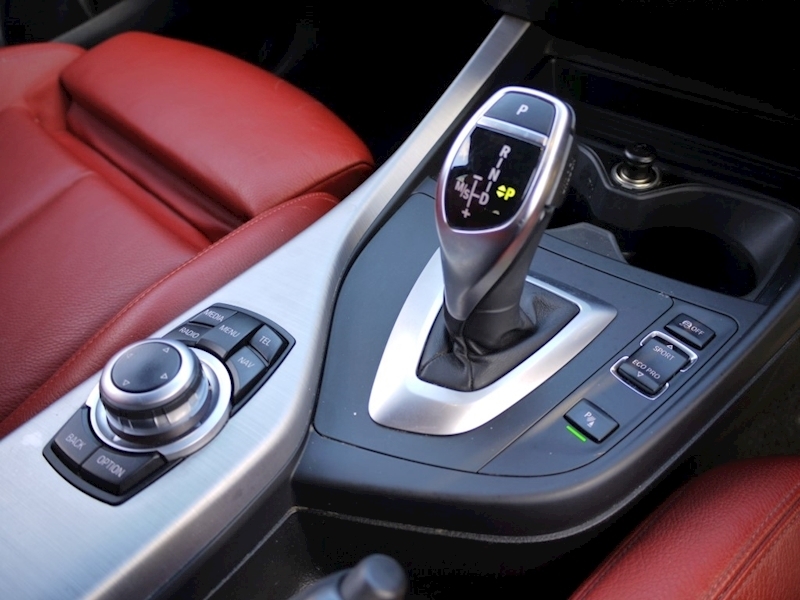 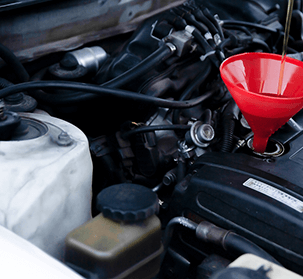 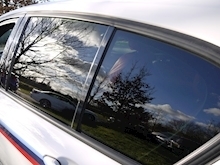 this could be your car!!! 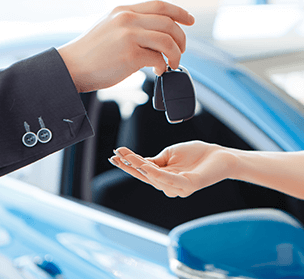 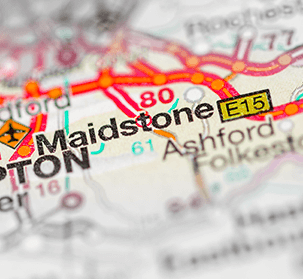 ULEZ Charge FREE - Ultra LOW EMMISSION Zone Exempt for our london clients.